Apple has filed a patent for in-app purchases that, if granted, could be used against competitors like Google and Microsoft, Redmond Pie has learned. The patent is titled In Application Purchasing and, as you may guessed, is related to the procedure smartphone apps use for in-app purchases. 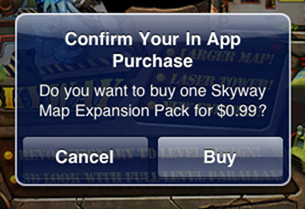 In-app purchases were introduced with the iPhone 3GS on iOS 3 back in mid 2009. The feature is quite popular on iOS devices, as many developers use in-app purchases in their apps so that folks who download their apps can unlock more powerful features, download more levels for games etc. Apple filed the patent in April, 2010 – almost a year after introducing the technology – but it has only emerged on US Patent & Trademark Office’s (USPTO) website today. The present technology provides a purchasing interface within an application that allows users to purchase a product from another source without leaving the application. The application offers a product for purchase, and a user, desiring to purchase the product can provide an input effective to cause a purchasing interface to be displayed. While the purchasing interface, or information presented therein, comes from the product source, which is different than the application source, it is presented in such a fashion that gives the impression to the user that they are purchasing the product directly from the application. It is interesting to note that Lodsys, LLC – a private company that has been called a patent troll – already owns a patent (granted in late 2009) called customer-based product design module which broadly describes a method which enables future interaction with customers from inside a service or an application which, well, would include purchase orders for apps. Apple actually pays Lodsys for using their customer-based product design module patent. The difference between Lodsys’ granted patent and Apple’s filed patent is basically of detail. Lodsys’ patent covers a broad idea while Apple’s goes specifies the same idea. We don’t understand how Apple can patent a specified version of an already licensed technology. 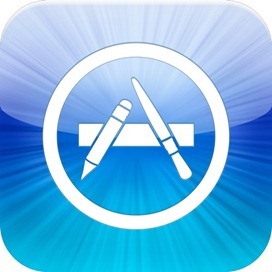 This could, in theory, start another legal battle between Lodsys and Apple since both can claim that they own a patent for in-app purchases. Mobile operating systems like Android and Windows Phone 7 integrated in-app purchases on their respective application distribution systems recently while Apple has been doing this since mid 2009. Apple, then, may or may not use the patent to sue Google and Microsoft.